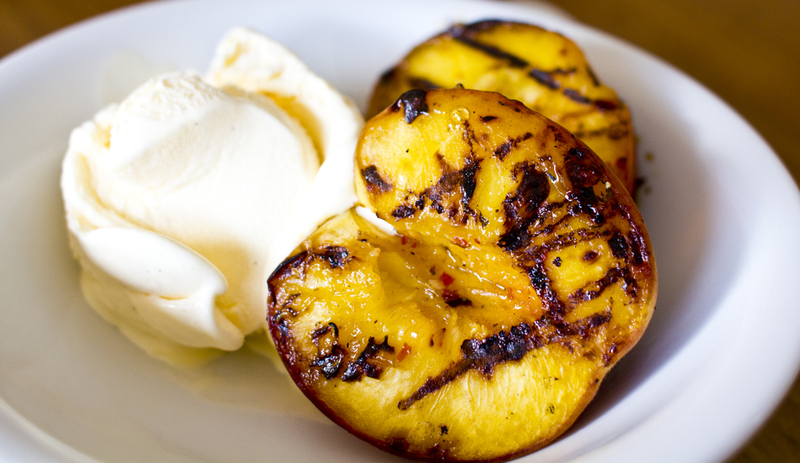 Grilled pears and ice cream! When it comes to dessert, I am usually not a fan. I just like dinner too much, so when that’s over all I am so full all I really want is some some quiet and a glass of good bourbon on the deck… Which I guess is why I go for dessert that are easy to make. This one was super easy, but the feedback from my dinner guests was awesome, so here – you can have it too. 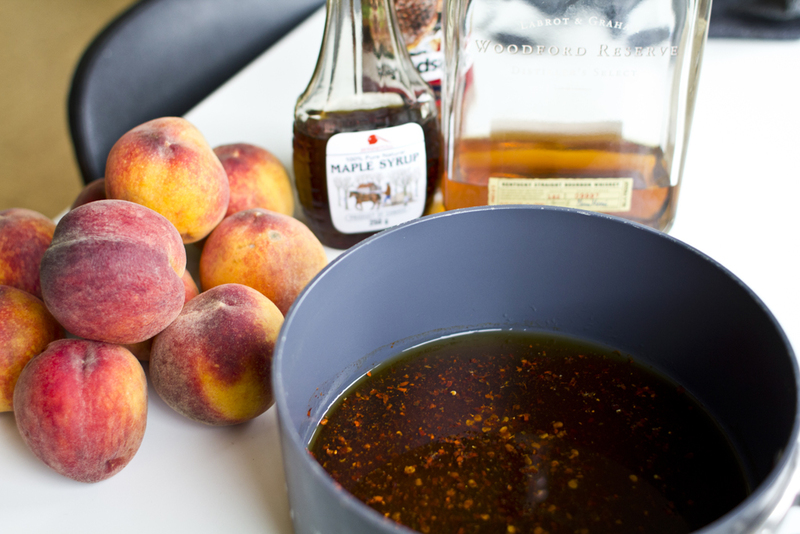 This dessert is very little work if you prep the glaze beforehand, which is perfect, because spending your time by the grill while everyone else is chilling after dinner is never fun! Optional but tasty: Caramelize the sugar. This can be hard without a candy thermometer, so you might need one. Just make sure you don’t burn the sugar, because that’s not tasty. 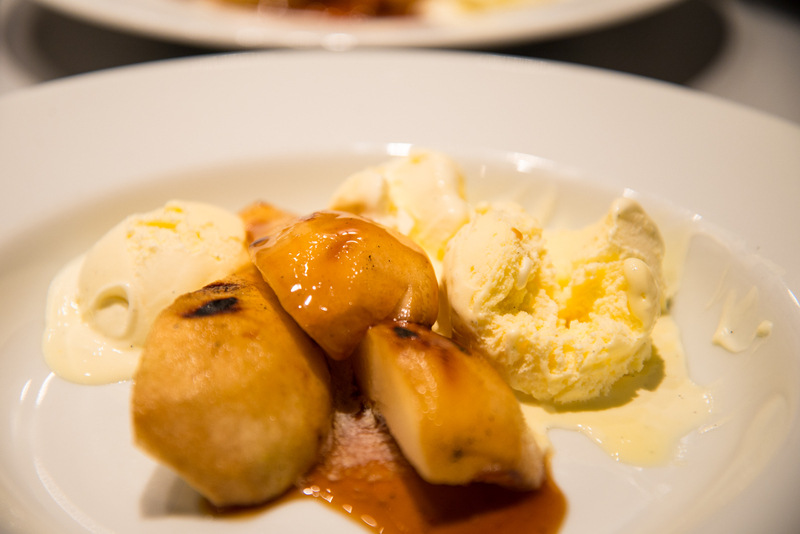 Serve with some quality vanilla ice cream and pour the glaze over as a sauce. Tasty! 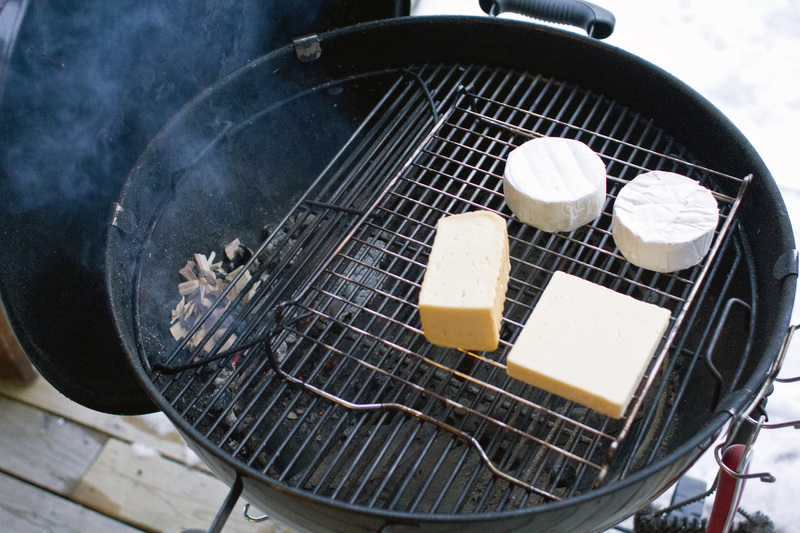 Great winter BBQ activity: Cold-smoke some cheese on your kettle! Ecological Brie, Camembert, some Port Salut, and some mature Cheddar, ready for the smoker. I’m a big fan of the French kitchen, and I’m also a big fan of go big or go home. And what could be more gluttonous and over the top than going with a nice plate (or cart if you have one) of cheese for dessert after a BBQ feast? You tell me. Anyhow, it’s cold here now, freezing every single day, so it’s real easy to keep the kettle low in temperatures. This makes the weather perfect for smoking some cheese, because you really don’t want it to melt all up in your kettle now, do you? This was my first go at smoking cheese, so I bought some different ones they had at the local supermarket, just to do a test. In the pic above you can see the candidates, and since most of you don’t know Norwegian, I will explain. 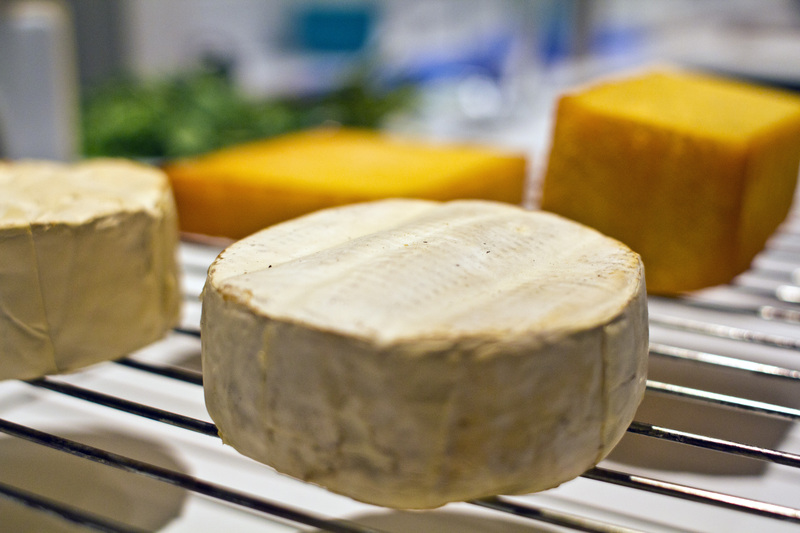 There are two soft cheeses, both Norwegian, ecological versions of French staples Brie and Camembert. Then there’s a Norwegian version of Port Salut, and a good Mature Cheddar from England. A hot tip btw is taking a picture like this of your arrangement, so you know which cheese is which when they come back in the kitchen. Take note that the cheese will taste best if you do the smoking some time before eating. I did it the day before, and they came out great. We found the hard cheeses came out best, which makes sense since the soft ones have this protective layer on the outside. Maybe next time I’ll try slicing the soft ones lengthwise into two circular “bowls” and see if that makes them smokier. A lot of people recommend Pepper Jack and Monterey Jack cheeses, so if you can find those where you’re at – I’d go for those! Gouda should also be a good alternative. Honey, maple syrup, dried fruit and some crackers could be useful for serving. For drinks I’d go with some strong, sweet Trappist style craft beer (Chimay, Rochefort), or some dessert wine. Make a very small fire on your kettle all the way off to one side. Make it as small as possible, just enough to keep the chips smoking. As the goal here is cold-smoking, this would best be done in winter, and if the sun is shining, keep the kettle in the shade! I mellowed the cheese in the fridge overnight, wrapped in plastic. 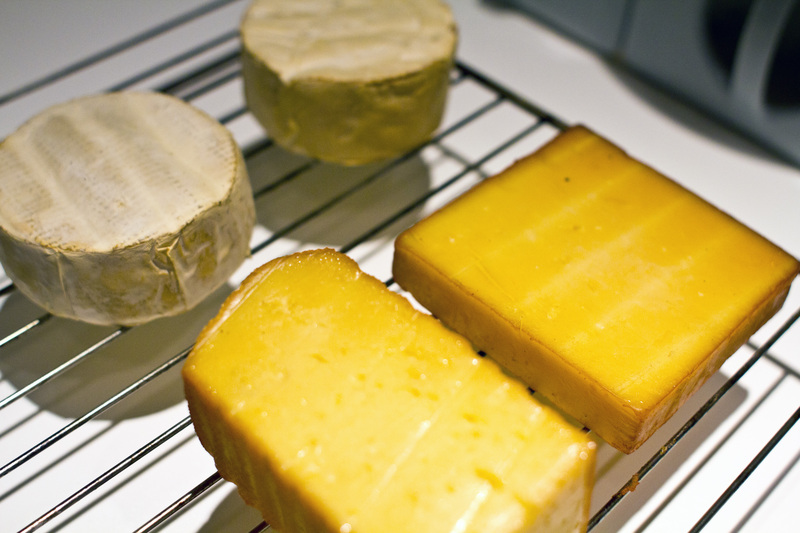 Some people claim the smoke flavour will spread better through the cheese after a couple of days or even a week. Didn’t have time to test this claim yet, but if you do, let me know what you think! 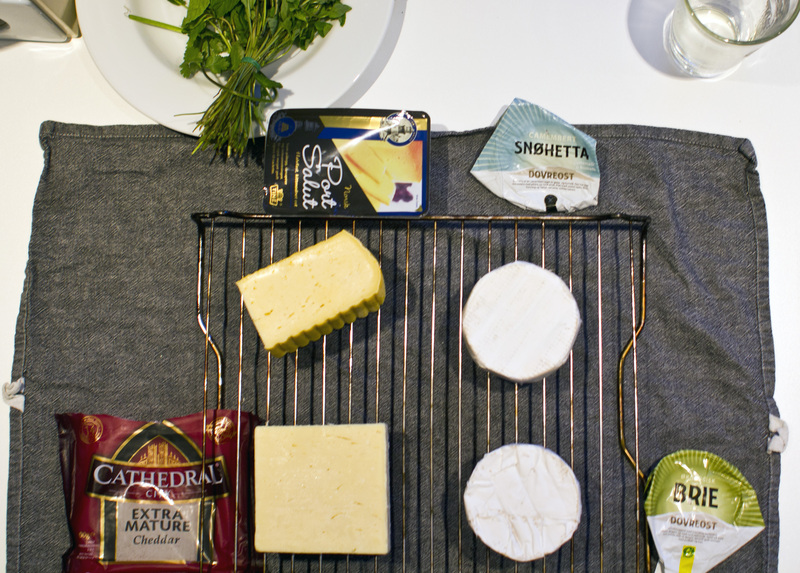 Remember to take your cheeses out of the fridge a couple of hours before eating, fridge-cold cheese is not awesome. 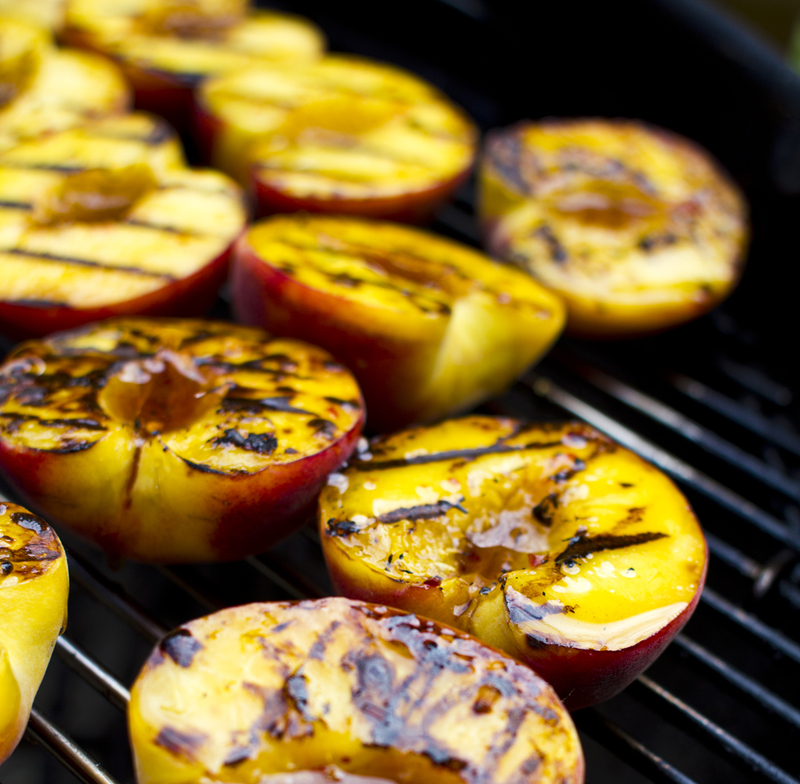 Peaches are right up there with pineapple as a great fruit to grill for dessert. I also think they work well with the taste of some good small batch bourbon, cinnamon and the sweetness of maple syrup. 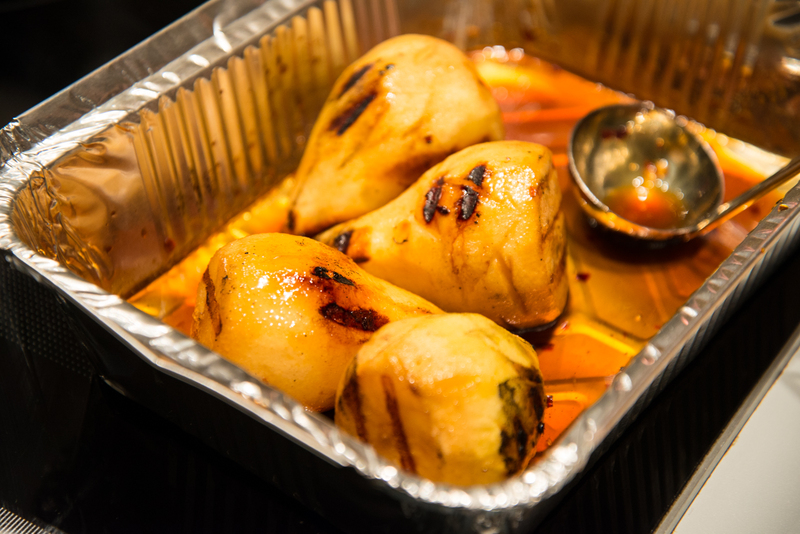 So here’s a quick and easy dessert suggestion that lets you exploit the rest of the heat from the charcoal after grilling dinner for your guests. This recipe will serve 8 people. Grill’em up and serve with vanilla ice cream on the side. Serve, with vanilla ice cream. Any leftover glaze can be used as a sauce.